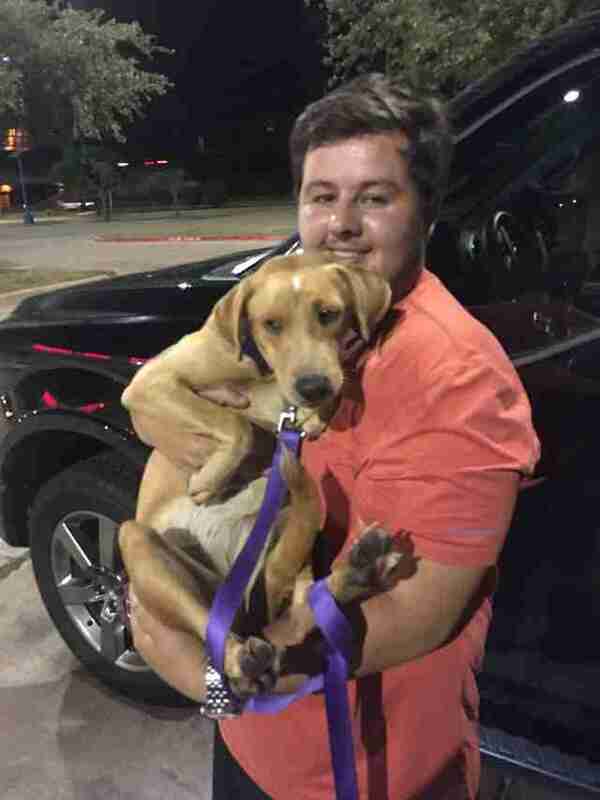 By Mary Schwager "Watchdog Mary"
When a young man named Connor woke up last Thursday morning, he had no idea he was about to be a lifeline for two lab mixes, Thelma and Hercules, stuck in the oncoming path of Hurricane Harvey. 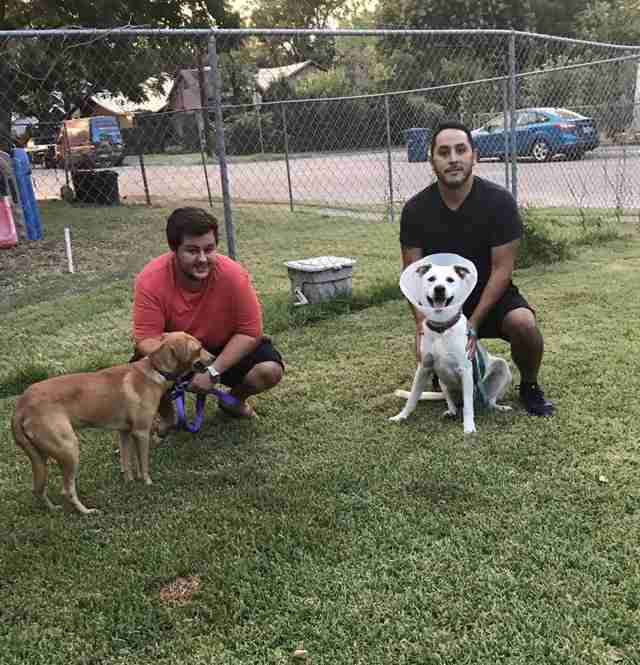 The 22-year-old college student just finished his summer job and was about to head back to grad school — but that morning he found his mother, who is a volunteer for Lucky Lab Rescue and Adoption, frantically reading the rescue’s social media posts. Thelma and Hercules were in a Corpus Christi foster home that needed to be evacuated. The rescue was begging for a driver to bring the dogs north, and new fosters to keep them safe. That’s when Connor decided he was going to be making a road trip. “I said why not? And jumped in my truck,” Connor, who asked that his last name remain anonymous, told The Dodo. 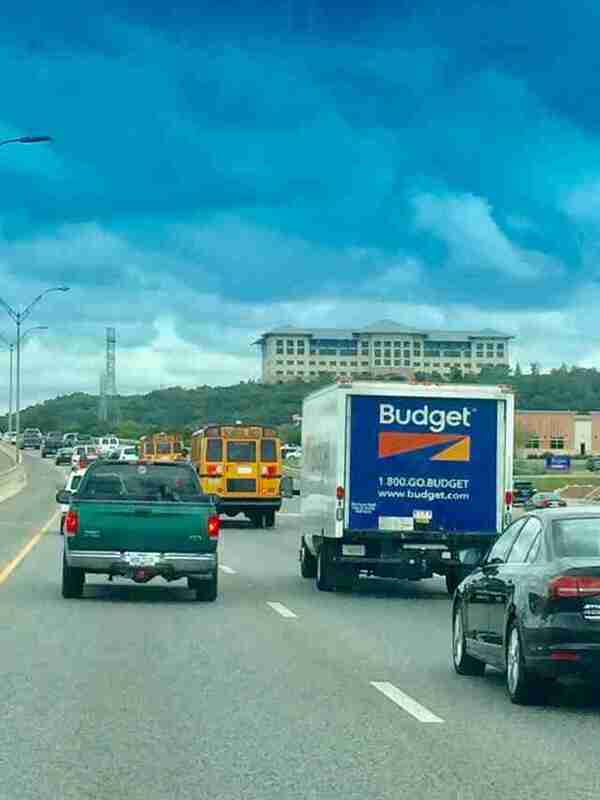 He departed Austin and headed to Corpus Christi. As thousands of cars headed away from the oncoming storm, he headed toward it. “I didn’t really think — I just figured someone needed to help them,” Connor said. 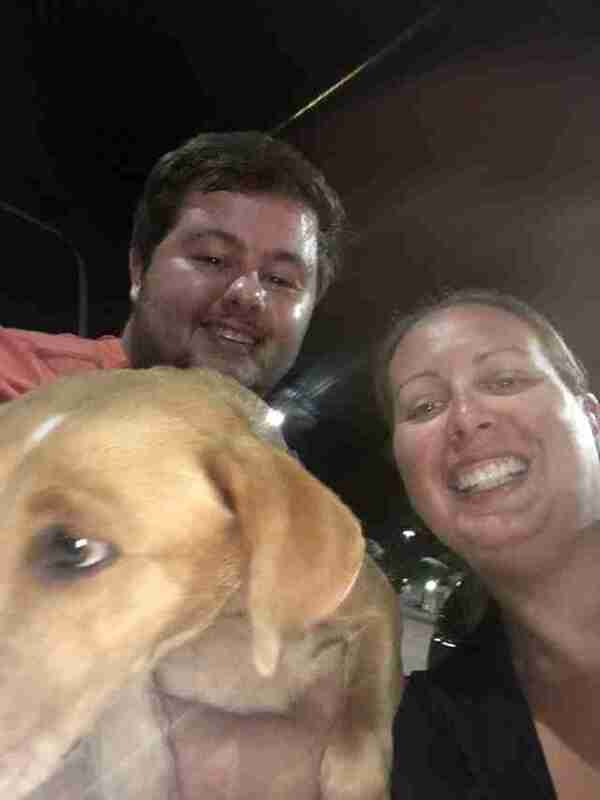 The young man had never done a dog transport before, but Lucky Lab’s Texas transportation manager, Stephanie Broughton, talked him through what he needed to know. 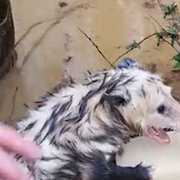 Usually the rescue uses crates and slip leads, but in the race to get the dogs out of harm’s way Connor didn't have a chance to round up supplies. 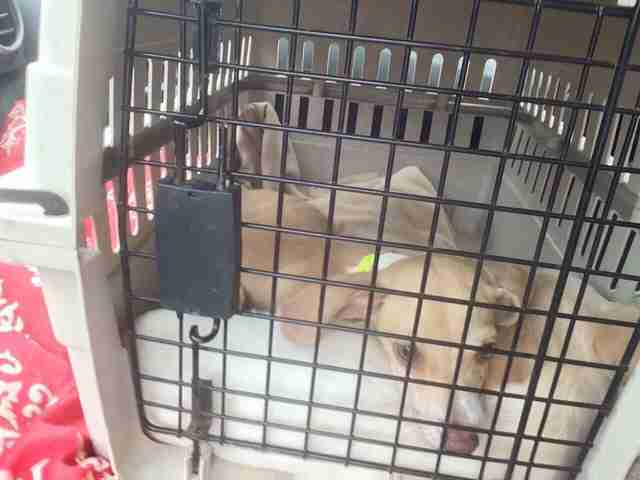 “I told him how to tighten the dogs’ collars, and to take one dog at a time to the vehicle. 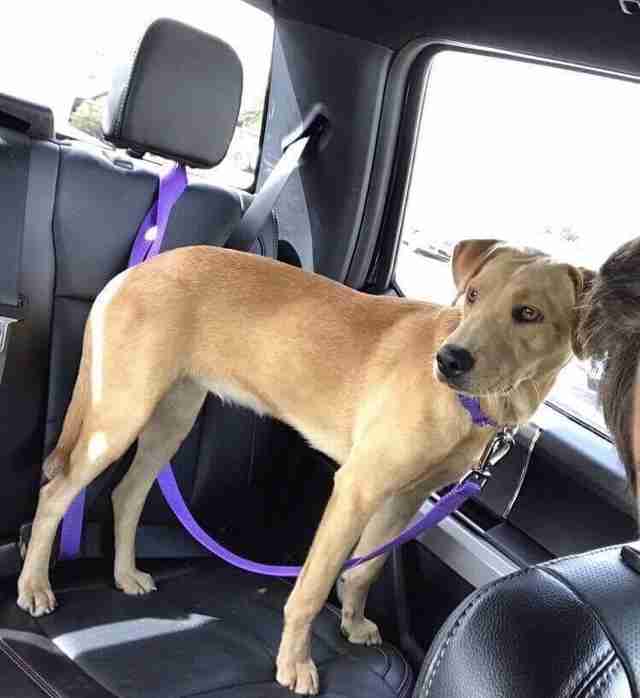 Also, it was important to secure each dog in his truck so they could not jump and run away with the door open,” Broughton told The Dodo. 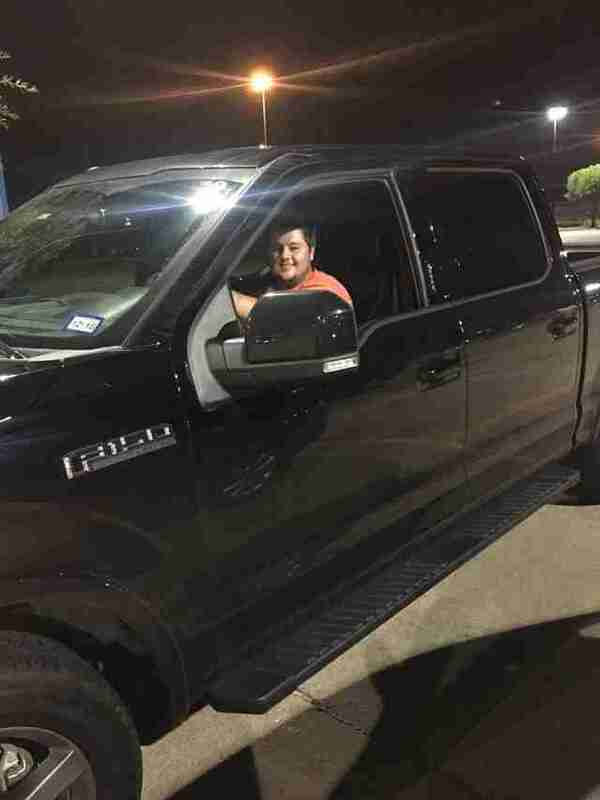 When Connor arrived at the pick-up point in Corpus Christi several hours later, he successfully loaded up Thelma. Hercules was a little more challenging. 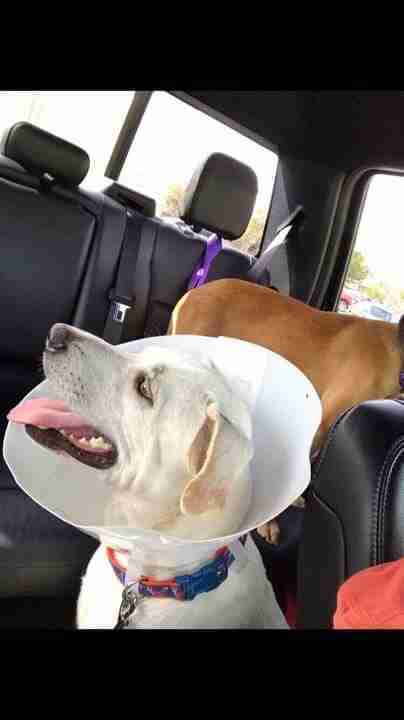 He just got neutered and was clunking around the car wearing his giant cone. “He figured out where he could and couldn’t go,” Connor said. Connor stayed in touch with Broughton and his mother during the trip. After a long day that stretched into the night, he successfully got all the dogs delivered to their new foster homes. Connor is one of many incredible heroes surfacing out of Texas so far. 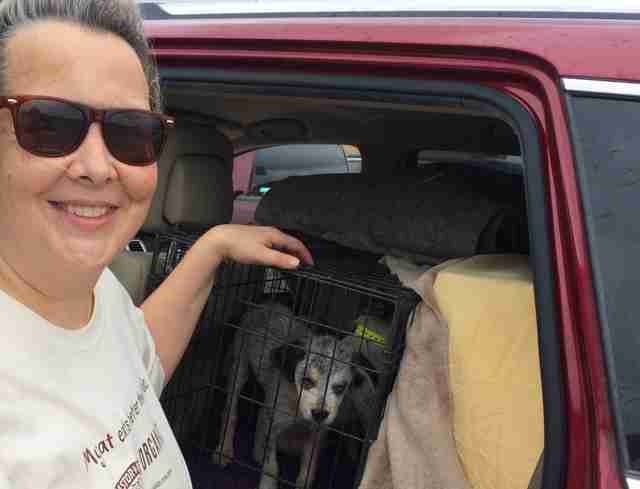 Animal rescuers Renee Nank and Cindy Cox also raced to get animals out of South Texas municipal shelters before they were euthanized. “There are a lot of incredibly devoted people who have spent hours and hours working very hard, driving many miles to save many lives,” Nank told The Dodo. 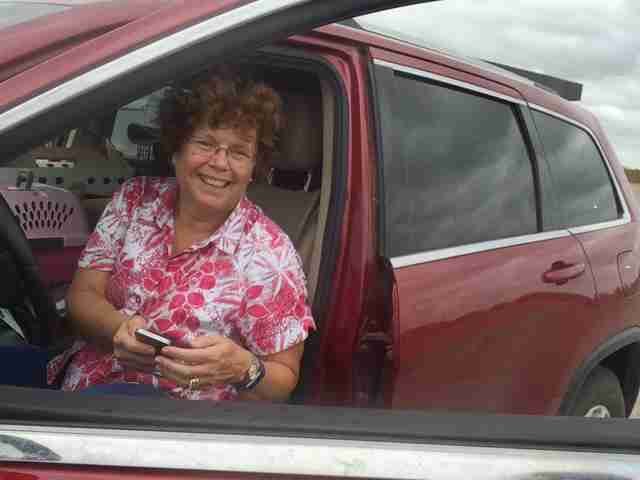 Nank and Cox’s cars were filled with crates to evacuate as many animals as they could safely. 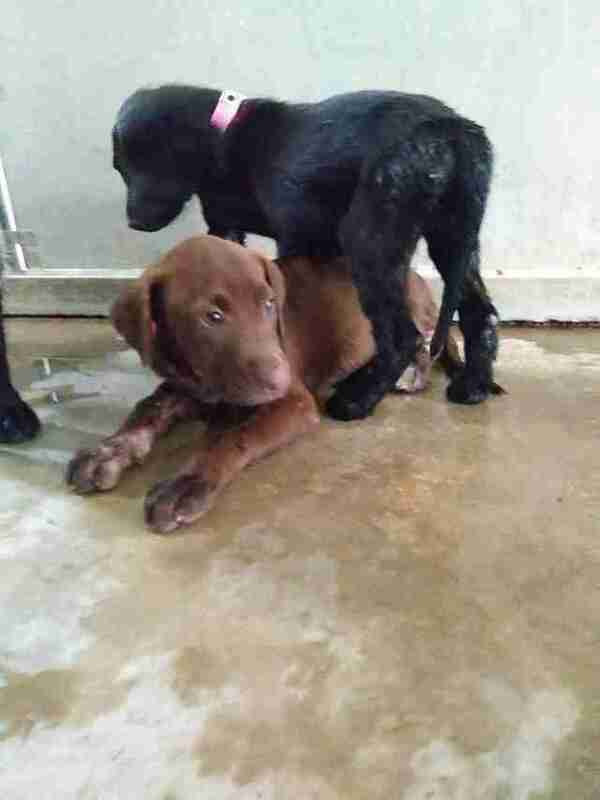 These puppies went to Lucky Lab Rescue and Adoption. 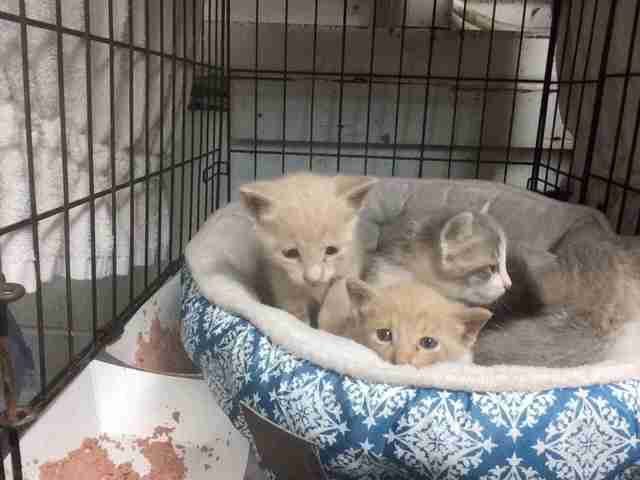 Other dogs and kittens were delivered to Austin Pets Alive. And for Connor, rescue may just run in the family. “The foster families all seemed so happy to see the pups I brought. Yup, I’d do it again,” Connor said. To donate to Lucky Lab Rescue and Adoption’s hurricane efforts visit its website. To donate to Austin Pets Alive's hurricane efforts go to its website. Read more tips on how to make a plan for your pet before a big storm here.